Teacher’s Comments: A very nice mid-Michigan course. Mentally Challenging. 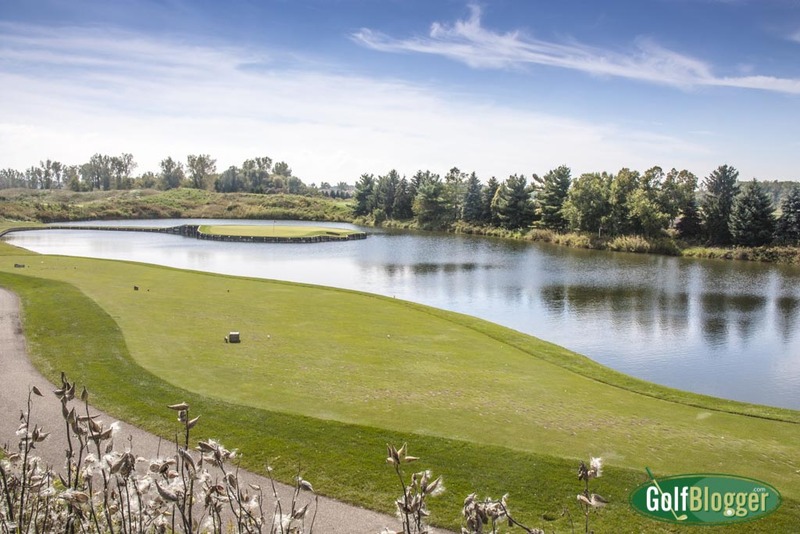 Eagle Eye is a premium golf course in Bath, Michigan, just outside of Lansing. It is part of a family of local courses, which include the 27 hole Hawk Hollow, the Falcon Executive Course, the 9-hole Woodside and the 18 hole putting course, Little Hawk. Designed by Chris Lutzke (in collaboration with Pete Dye, whatever that means), Eagle Eye is a former flat sod farm that has been transformed into a rolling, mounded design. Holes wind their way between large artificial “dunes,” along ponds and near marsh. There are a few traditional Michigan holes, with tree lined fairways, but for the most part Eagle Eye is open. Open is not quite the way to describe Eagle Eye, though. All of those mounds — some with impressive heights — serve not only to offer variety to play, but also to shield the holes from each other. It would have been easy enough to route a course on a sod farm where every hole has a view of four or five others. The man-made dunes isolate the holes as much as “Up North” Michigan holes are isolated by forest. Eagle Eye has five sets of tees. From the tips, Eagle Eye measures an impressive 7,323 yards and plays to a 75.9/145. That’s enough course for anyone, and way too much for me. The Blacks are at 6,881 and the blues, 6,412. For the mid- to high-handicapper, the whites at 5,923 offer a fun day. These tees play at 69.5/128. 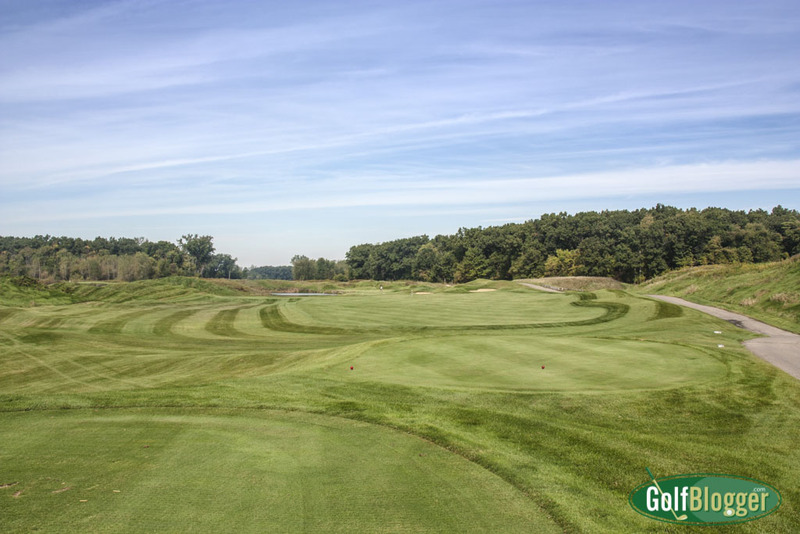 The third at Eagle Eye is a 331 yard par 4 with a split fairway. My favorite hole was the 331 yard par 4 third (above), which has a hooking fairway. The lower two thirds (in terms of elevation) run along a pond, ending abruptly at a series of huge, bunker studded dunes. The outer curve of the hook is to the left of the tee box, and a little higher. The hole gives a golfer two choices: the first is to play straight out on the lower end, parallel to the pond and just short of the mound, culminating in a totally blind shot over the dune. The second is to drive the ball longer, and a little further left, over more intervening rough, to a position where you can play down to the green. It is a terrific hole. In fact, there are a lot of terrific holes at Eagle Eye. The 364 yard par 4 sixth has a similar fairway conundrum. Play to the wide left and you’ve got to fly the ball over a large trap for your second shot. Play to the more narrow right between a couple of fairway bunkers and you have fairway to the putting surface. The second at Eagle Eye is a 130 yard par 3. The par threes at Eagle Eye are worth a special note. 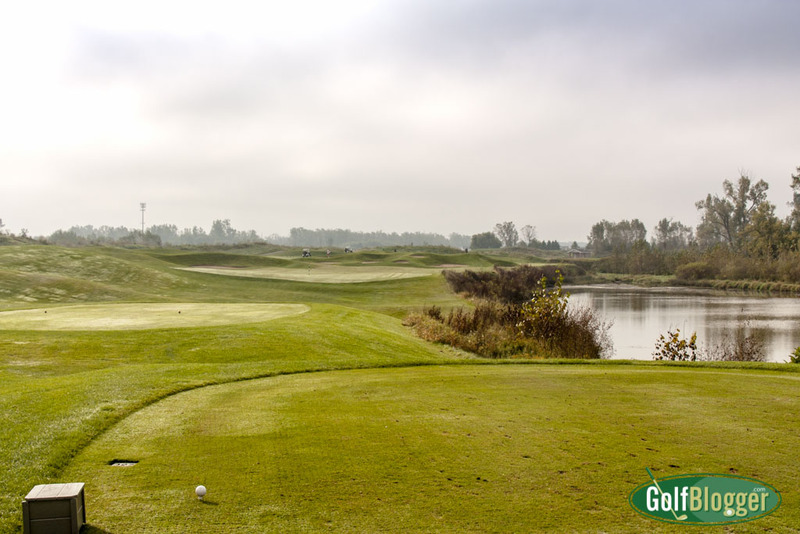 All are really tough, with tight greens guarded by large expanses of sand or water. 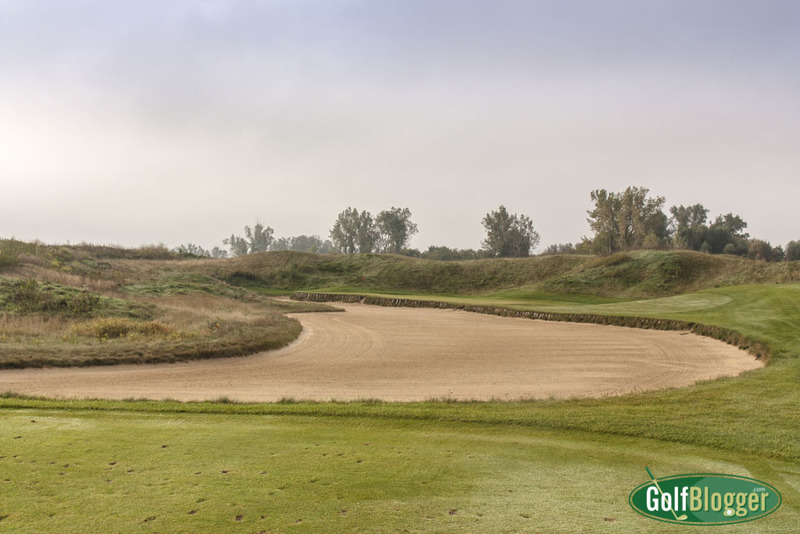 The green on the second, for example, is long, but set at an angle to the tee boxes and guarded by a massive bunker. The fifth has another tough to hold green, with water down the entire left side, and large mounds behind. The twelfth has large bunkers on the left and a very deep green, but angled green. And then there’s the par three 17th, which looks and plays like Pete Dye’s famous 17th at Sawgrass. Conditions on the day I played were good. Greens were smooth and fast, and the fairways lush. There were a few low-lying areas that were wet, but there had been some significant rain in the previous couple of days. Weirdly, there was one hole — the par four 15th, where portions of the fairway bounced like a trampoline as I walked. In fact, if I jumped up and down a bit, I could see ripples in the ground. My guess is that that turf was floating on an unseen layer of water. I’ve never felt anything like it. I was happy that the course let me walk, although I was a bit miffed that it wasn’t any cheaper. If I’m not using a cart, I should get a discount. That said, Eagle Eye is a very walkable course. There are no significant hikes between holes, and the terrain is very flat. At $95 a round on the weekend (and $85 weekdays), I think Eagle Eye is a overpriced in the market. Nearby Timber Ridge, for example, is also an excellent course, and is $30 cheaper. The wonderful Forest Akers West, which belongs to Michigan State, is half the price — even for non-alumni. College Fields, a course with a similarly open design — although not as nice as Eagle Eye — is $50 cheaper. All that said, I am glad that I played Eagle Eye. It is a mentally challenging course that’s worth a special trip. The twelfth at Eagle Eye is a 184 yard par 3. The thirteenth at Eagle Eye is a 479 yard par 4.